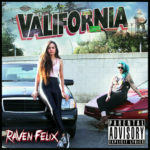 Born in The Valley of Los Angeles, Raven Felix is an artist best known for her music and this year she performed at the 2017 Euphoria Music Festival held at Carson Creek Ranch in Austin, Texas. A Latina from the West Coast, she began her exciting music career at a young age after being signed-on by Snoop Dogg at 18. Raven was discovered after posting music videos on World Star hip hop and that’s when Snoop Dogg took notice of her talent while he was in Amsterdam. 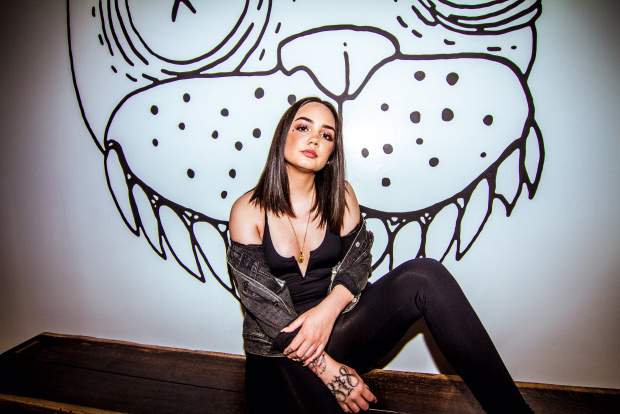 Raven Felix is also a member of the entertainment company, Taylor Gang, as is Wiz Khalifa, and the two artists both performed (separately) at Euphoria Music Festival in Texas. 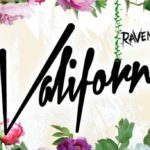 Even more exciting for us all, even though this isn’t Raven’s first rodeo in the spotlight or on stage—it was her first time to showcase her music in Texas. Ravens’s performance at Euphoria on Friday, April 7, 2017 marked Raven’s first ever show or festival held in Austin, Texas. Prior to my phone interview with Raven, I did not get to meet her in person. But through the photographs and music videos on social media: I noticed her strong voice, her dark brown hair that resembles silk, luminous skin, big brown eyes and how she always seems to have a chic manicure. Raven Felix is facing a successful future and a vivacious career in music, and she’s off to a great start. She is not only talented at rap and hip hop, modeling and music videos—Raven is also a writer and you can find some of her poetry online. Writing is something she has been doing since she was a child and holds very dear to her heart. Photo of Raven Felix’s hands from her music video “6 in the Morning” feat. Snoog Dogg. Nicolette Mallow: Here in Texas we have an area called The Valley near the border and it’s much different than LA. I heard on a radio interview with Power 106 that part of what motivates and inspires you to excel in your career is to pave the way and make a lane for younger girls, especially the young Latinas back home in The Valley… Giving back to the community is important and I am also a Latina. So I am curious to hear about The Valley and I was wondering if you’d tell me more about life in the valley for young girls? Raven Felix: Everyone in The Valley is super close and it’s a tight-knit community. It also encompasses a large portion of the Hispanic/Latino population in LA. There is a lot of backyard parties and a lot of shows. It’s a really interesting place to be and I certainly grew up partying, too. A huge part of the culture in The Valley is community, art and entertainment. Nicolette: The music video for “Hit The Gas” with Snoop Dogg and Nef the Pharaoh looked like it was a lot of fun for the cast and crew to film… I also saw the video “6 In The Morning” … Will you tell me about how you came to sign and work directly with Snoop Dogg after he found you on World Star at the age of 18? Raven: It all happened fairly quick. I think I started putting out videos on World Star when I was 17. And when I was 18, he was in Amsterdam and saw me online and thought my tracks were dope and wanted to be involved. So, he found me and my people, and I feel very lucky. After that, all of a sudden we are making music a month or two later. Nicolette: What was it like touring with with Snoop Dogg and Wiz Khalifa during “The High Road” tour in 2016? Raven: I think for me it’s just a blessing to even have these huge artists that are insanely talented as my friends and colleagues. They are monsters of artists with amazing careers and to be involved with me. It’s definitely cool. And we all bring different songs and styles to the mix. Tour was amazing in general. Nicolette: I read one of your poems on Instagram. And I liked your line in the track “Me” when you say “Tell ‘em kiss it like I was your Bible”… How long have you been writing? Raven: Well I’ve been writing since I was a kid, really ever since I could write. I wrote. But I think middle school is when I really started being interested. I had notebooks in drawers and boxes of handwritten notes. I still really very much want to branch out into writing novels, poetry, screenplays and scripts. Poetry, for me, is something that is a completely different outlet than my music. I keep it separate and I think its something that relaxes me. If I am having a road block. I think poetry can be my outlet. Writing is important to me and I seek to become a multifaceted artist as I move forward in my career. I can do much more than rap and sing on stage, which is dope. Writing is just one of many things like modeling, acting and other art forms I would love to explore in the future. Nicolette: I read the interview with VIBE that stated your top female artists are Eve, Missy Elliot and Nicki Minaj.. I recall listening to “Love is Blind” a lot as a teenager, dancing to Missy Elliot in college and playing Nicki’s track “I Lied” a lot while I lived in Ireland… Will you share a little about how these artists inspired you and your musical craft? Raven: Nicki Minaj is the biggest inspiration to me out of all three women. I am 21 and so when I was in high school. I think I was in 9th grade. I had a mixed tape of hers and it was so hard and so dope. I fell in love with her then because I had never really heard an artist like her during my era, growing up. I heard a lot of rock and alternative stuff as a child because of my mother. So when people turned me onto Nicki and opened up doors for me to discover others like Eve and Missy Elliot, it’s amazing to hear all these talented women. Nicolette: I read Southern Comfort was your first drink. What’s your poison (choice of alcoholic beverage) these days? Raven: I usually switch back and forth between Bombay and Hennessy. Wiz and them from Taylor gang really like gin. At first I hated gin, but like now I really enjoy it. Nicolette: So when you aren’t touring or traveling for work, which sounds like a lot of fun. What do you do for fun and leisure with such a lively schedule? Raven: I love being able to travel and do all this stuff for work. But I was just in London for Christmas for leisure. Just for me. Just for fun. So yeah, I love to be on the road and being on tour, but when I get to be home. I spend a lot of time with my mom and it centers me and keeps me grounded. She is my best friend and spending time with her is important; being near my mother relaxes me. I also like to keep in touch and be around my west coast friends that I grew up with in The Valley. The ones that cared about me from the start. Because, often we got lost and lose track of time out on the road. Coming home, back to your roots, it’s important for my friends to know that I’m still the same person they always knew and loved—and they’re just as important to me as always. This entry was posted in Euphoria Music Festival, Event - Show - Festival, Featured Artist, Interview and tagged ATX, Carson Creek Ranch, concert, Euphoria Music Festival, festival, find your euphoria, live music, Nicolette Mallow, raven felix, snoop dogg, Wiz Khalifa, world star hip hop. Bookmark the permalink.